Open mesh upper - Provides breathable comfort. Synthetic overlays - Add support and durability. Removable sockliner - Extra layer of step-in comfort. Forefoot GEL Cushioning System - Attenuates shock upon impact. 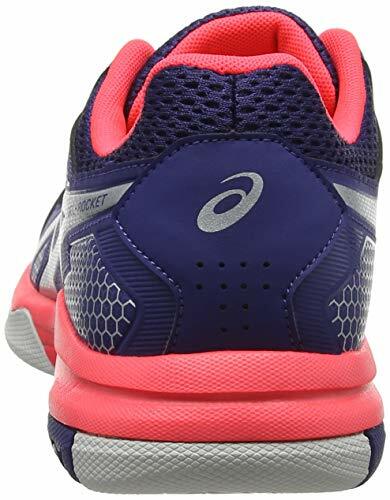 ASICS Gel-Rocket 8 Women's Court Shoes Focus on performance in style during every match with the ASICS GEL-ROCKET 8 women's volleyball shoe. 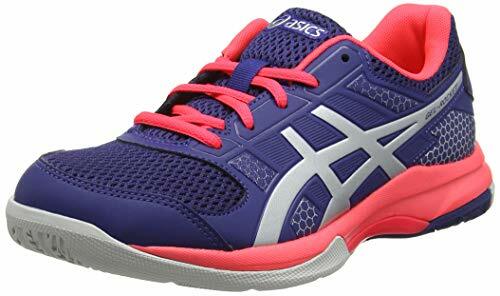 It offers superb fit, enhanced traction and redesigned shock-absorbing cushioning. Extra stability is a given thanks to Trusstic System technology, while Forefoot GEL technology means comfort is taken care of. Mesh Upper Open mesh uppers will encase each foot in breathable comfort. Perforations in the fabric increase airflow to create a better, healthier environment for your feet to thrive in. 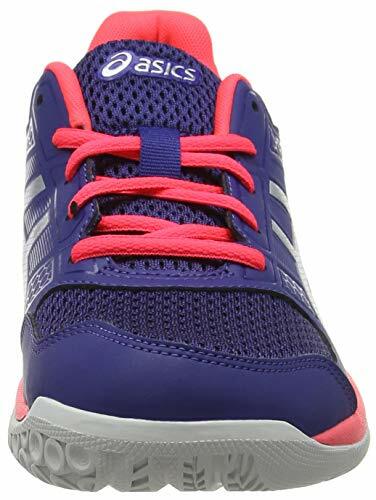 Synthetic overlays swathe the midfoot and heel to improve durability plus stability; they unite with the lacing system to promote complete lockdown, anchoring you to the midsole and reducing in-shoe slippage so that you can enjoy smooth, distraction-free strides. EVA / GEL Midsole A removable sockliner lies atop a lightweight midsole as an extra layer of step-in comfort and support. EVA resides in the midsole to supply resilient underfoot cushioning across the court; it spares your joints as you strike down onto hard, unforgiving surfaces. Embedded within the midsole platform is the Forefoot GEL Cushioning System. The silicone-like material works to absorb shock upon impact, protecting your ankles and knees whilst promoting a smooth transition. Non-Marking Outsole The Trusstic System stretches out under the arch to increase stability; it reinforces the middle part of the sole, stopping it from twisting excessively and therefore diminishing the risk of the inward/outward rolling that might cause injury. A non-marking rubber outsole completes the Gel-Rocket 8. Its Octipod design, a range of strategically placed suction cups inspired by multicourt-specific motion, yields elite level performance on all indoor-court surfaces. This technology gives you improved grip on the court, allowing you to run, stop, jump and serve without slipping or distraction.